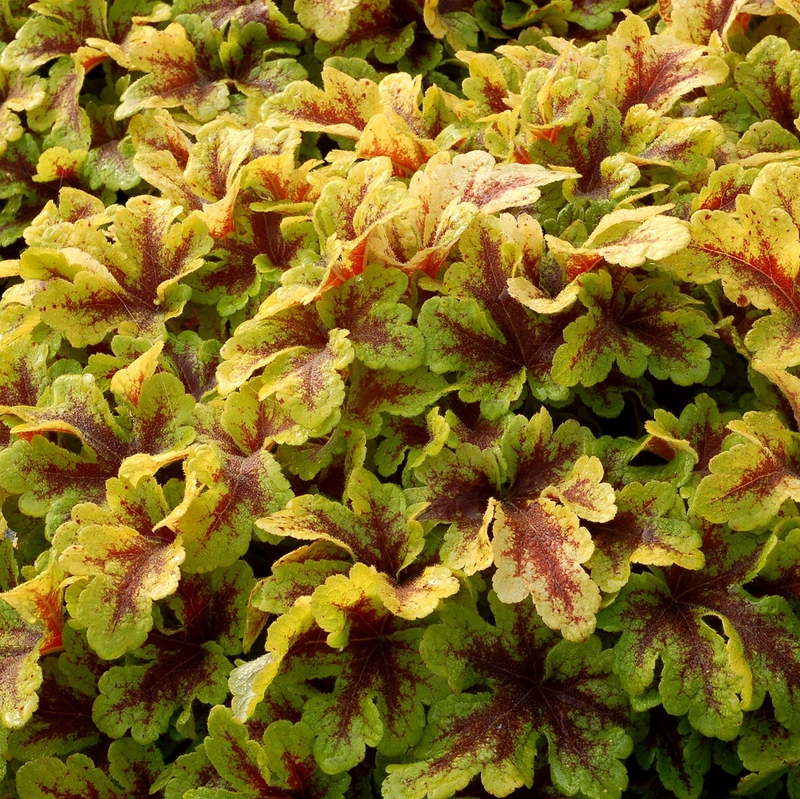 Heucherella 'Mojito' has a dense, compact habit with gold to lime leaves adorned with red veins that hold their color well into the season. Short petioles give this plant a unique fullness. It's always neat with few or no flowers spikes for easy maintenance. PP#26946. 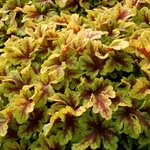 Heucherella 'Mojito' differs from other similar types by its dense, compact habit and its reluctance to produce flowers.